Inspire Dance Centre is bringing back its annual production of 'An Evening With The Nutcracker' for three shows in mid-December at Mt. Hood Community College. Inspire Dance Centre is bringing back its annual production of "An Evening With The Nutcracker" for three shows in mid-December at Mt. Hood Community College. 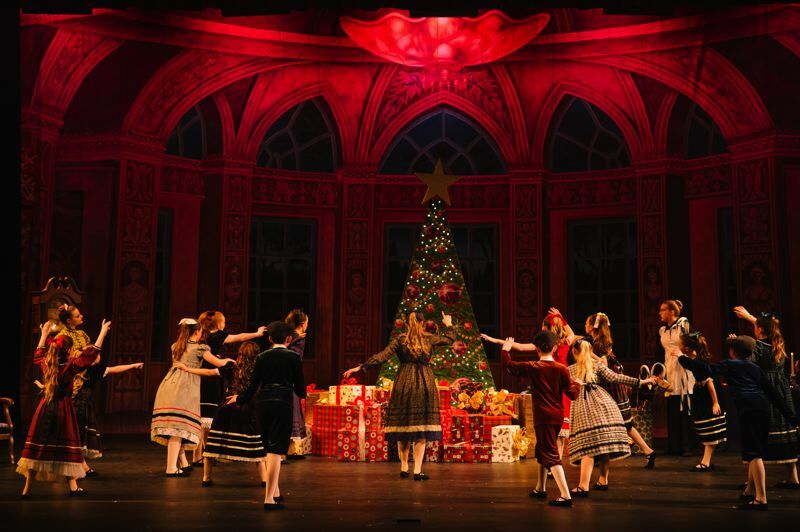 Performed almost entirely by students, the show brings to life Tchaikovsky's classic ballet about a girl's fantastic adventures with a toy nutcracker given by her Godfather on Christmas Eve. Performances are scheduled for 7 p.m. Friday, Dec. 14, and 1 p.m. and 6 p.m. Saturday Dec. 15, at the MHCC Theater, 26000 S.E. Stark St., Gresham. Inspire owner Debbie Pierce said this is the third year the dance center has performed the ballet, though it is her 23rd time personally leading a "Nutcracker" production. She said the story has such staying power because kids find it so enchanting. "It's just an age-old story that children are mesmerized by," she said. And in this production, children make up most of the cast. 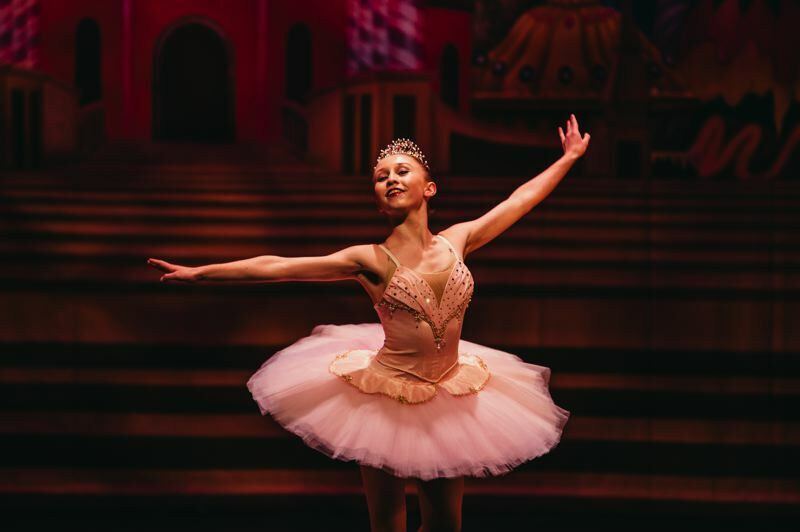 With the exception of adults playing the character's parents, all roles in the ballet are performed by students from the dance center. Pierce said the dancers have been training since September to get ready for a professional-level performance. For some, it will be their first time in a full-length ballet. "They love it, and they work really hard," said Pierce. One group of dancers has worked hard enough to perform en pointe, the tip-toe style of dance ballerinas are famous for. Pierce noted that it takes a long time to acquire the technique, and this year a group of students will display their skills during the main character's journey through a snowy forest. "It takes years before they are skilled enough to dance a ballet like that en pointe," said Pierce. As for the main character, Clara, three different dancers will be filling the role. Pierce noted it is normal for at least two dancers to play the part, in case of illness or injury, but this year they selected three girls, all of whom bring something unique to Clara. "In general, I encourage all the kids to make the performances authentically their own because, if they don't, it won't come across to the audience as real," she said. 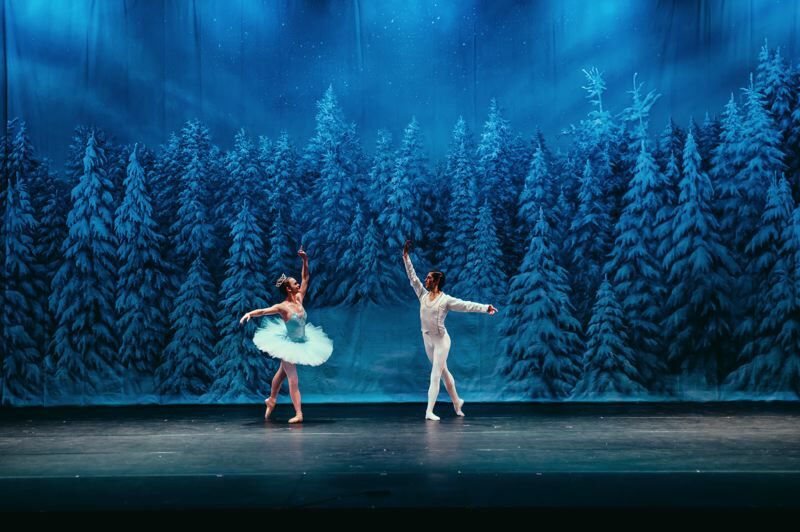 For those who may not have seen "An Evening With The Nutcracker" before, Pierce said audiences are often surprised by how skillful the production is, despite featuring students. "They can expect to see a very professionally produced ballet with children," she said. "They will be very entertained and it will be a wonderful holiday tradition that hopefully they will continue with from year to year." Tickets are on sale now through tututix for $20 each. For more information, call 503-674-8620 or visit Inspire Dance Centre's website.